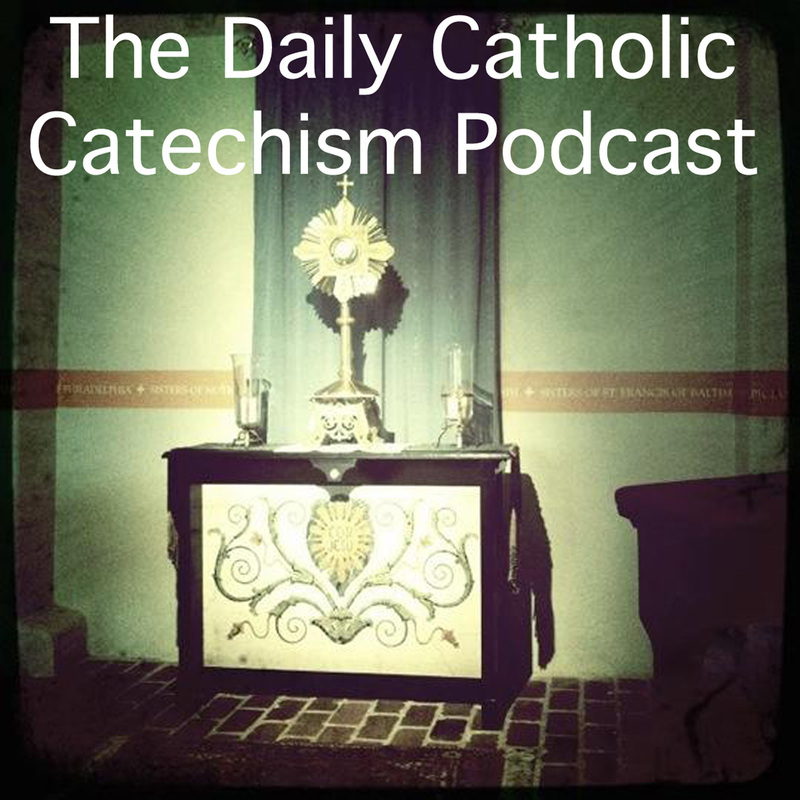 Hello Daily Catholic Catechism Podcast enthusiasts! As many of you know from the last episodes of the podcast, I've decided to take a bit of a break now that we've finished the entire Catechism in 2013. Please feel free to email me anytime with your thoughts and feedback about this choice (dailycatholiccatechism@gmail.com). 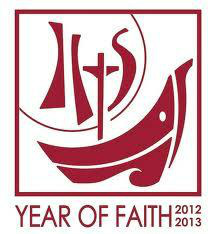 I pray that you all had a wonderful Year of Faith and were able to grow in that faith throughout the year. I'd like to again send a thank you to all who listened throughout the year. When I first had the idea my goal was to have just 12 people join me in reading the Catechism through the year. I thought this would be a solid apostolic number. To my amazement I checked near the end of the year and found that over 70 downloads happened every day! God is incredible and I thank you all so much for your support. I've never studied broadcasting, and I'm not exactly a 'public speaking' person at all, so the fact that this podcast even happened and that it gained this following shows how much God was working. A very very special thanks goes out to my wife Suzanne who supported me throughout the year and allowed me to stay up after the kids went to sleep to record these episodes. I also want to thank my two young children who joined me from time to time in the recordings (Check out Oct 30th, 2013 where Lloyd was up late helping me out). Finally I'd like to send a special prayer and a thank you to Mary the Mother of God whom this podcast is dedicated to. Before recording each episode I said a prayer to our holy mother and dedicated the episode to her immaculate heart. She is an incredible mother and I pray that you all can grow in your relationship with her as I have these past years. Today, June 4th we begin reading about our first Sacrament during the Daily Catholic Catechism: Baptism. It's an extremely important subject. What is baptism? What does it actually do? What does it symbolize? How does it fit in? Who can perform it? How is it performed? Can it be done more than once? When in life can it be done? All of these are questions the church has struggled with and answered over the centuries and we will learn the answers in these next few days. A study of this subject and a reflection on these essential questions highlights the importance of the Church and it's authority. Baptism is important in the economy of salvation as Jesus has clearly said in Matthew 28:19-20, but the scriptures do not explicitly answer all of these questions - scripture must be interpreted somehow by someone. I just discovered this other podcast that is doing something very similar to the Daily Catholic Catechism. They are discussing the entire catechism over the course of this year of faith. I think this podcast can be fairly complementary to the Daily Catholic Catechism because they offer a lot of commentary and discussion on what we read each day. They produce a longer hour long podcast about once a week and we are kind of in sync on what part of the catechism we are reading and discussing. Anyway I just thought I'd mention it to you all in case there's any interest. God bless and happy catechism reading! 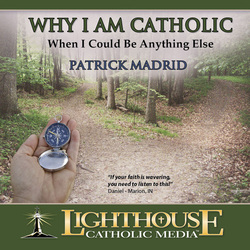 I was recently lent this awesome talk by Patrick Madrid called, "Why I am Catholic When I Could Be Anything Else". It's a really really good talk. You can get it here. One of my favorite parts was he was discussing 'defending the Catholic Church' and he said something like, defending the Catholic Church is like defending a Lion, it will defend itself, you just have to let it out of its cage. I love that image, and it made me think of my podcast as one way of letting that lion of truth out. Once the truth is out it's fairly hard to deny. I was very humbled and honored looking at some of the iTunes reviews for the podcast. Thank you to all who have reviewed so far and left comments! Finally I just wanted to note that today the Cardinals are starting the Conclave to elect our new Pope. Let us pray for the Cardinals! I recommend this site called Adopt a Cardinal for a specific one to pray for. I got Cardinal Joachim Meisner of Germany. God Bless! So I've finished recording the first month of the Daily Catholic Catechism Podcast! I hope you're enjoying it. It's been an awesome time so far. I've generally been recording the podcast episodes about a week or two in advance just to be safe. 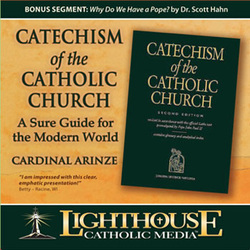 I also wanted to mention an awesome talk I recently heard from Cardinal Arinze (link) on the Catechism. It was a free CD I picked up in Oakland, MD at a parish and it is incredible. In it he recommends reading the Catechism every day! I was like, that's what I'm doing! He said that reading it every day with your family is a good idea and meditating on the readings throughout the day can help grow your faith. I think that's what my podcast is all about. The big day!! Today we start the podcast. The first episode is still online and you can listen via iTunes or any other podcast software you use. Just visit the 'Subscribe and Listen' page. To commemorate the occasion I wrote a blog post which you can read here. Happy feast of Mary, Mother of God! The podcast has been approved by iTunes! Visit the 'Subscibe and Listen' section to get the link and begin subscribing to the podcast. Now it's really getting exciting.